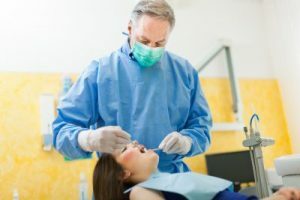 If you are looking for an expert dental practice that provides exceptional dental care for all members of the family, you will definitely want to visit us at our dental practice, William L. Toler DMD. Our Warner Robbins dentist, Dr. Toler, has been providing exemplary dental care for residents of our community since 1983. Patients enjoy coming to our dental practice to see our Warner Robbins dentist for treatment. Our office provides a warm and friendly atmosphere, and we always want our patients to feel comfortable from the moment they enter our dental office. At our practice, we use state-of-the-art equipment to make sure that our patients are receiving the best treatment using the most modern equipment. We always make sure that our patients remain perfectly comfortable during our dental procedures, due to our use of modern dental anesthesia and modern procedures. We offer a wide range of dental services, whether you need general dentistry care or dental restoration work. It is encouraged that patients come to see us for periodic dental exams and dental cleanings. We routinely provide a wide range of services for our patients including: root canal therapy to save a tooth with damaged or infected pulp in its interior; porcelain crowns to strengthen damaged or unattractive teeth; cosmetic dental fillings; cosmetic dentistry procedures to make your smile even more beautiful; preventive dental cleanings for both adults and children; dental sealants to protect the flat chewing surfaces of a child’s molars and premolars; laser therapy, when applicable; frenectomies; tooth extractions; tooth whitening for a cost-effective way to greatly improve the overall appearance of your smile; dental implants to replace missing teeth; partial or complete dentures; periodontal maintenance; night guards and splints for prevention of teeth grinding; sports appliances; and other dental services. For an appointment to see our highly trained and well liked Warner Robbins dentist, contact us today.